The past is behind. Learn from it. The future is ahead. Prepare for it. The present is here. Live it. UPSC Prelims 2018 is over, but you can still learn from it. We present you 5 takeaways from UPSC Prelims 2018. More than 20 questions this year was from topics related to Science and Technology. Wannacry, Internet of Things, Block Chain Technology, CRISPR cas9, BHIM app – the list is long. Most of these questions were expected or predictable questions – at least for those who had enrolled in ClearIAS Prelims Test Series. But in general, aspirants pay very less attention to this section. We have noticed that many coaching institutes (and aspirants) spend many months on Culture, Ancient India, or Medieval India, but they don’t touch Science and Technology. If you are looking to clear Prelims in future, you cannot neglect the Science and Technology section. 2. Don’t stick to Current Affairs only of the Last 1-year! Another mistake most aspirants and coaching institutes make is that they just stick with only current affairs of past 1 year. This approach had clearly backfired this time, as questions based on events in 2013 (National Food Security Act) and 2014 (The Leader of the opposition issue) were asked in 2018. There were many other questions which were based on events in 2016 (Eg: Equilisation tax – Budget 2016), and 2017 (Eg: THAAD, Belle 2 experiment etc). Even before Prelims 2018, ClearIAS had warned aspirants against the wrong approach of sticking only to 1 year-current affairs. We had also explained how to quickly cover the important contemporary issues of past 3-4 years from the Current Affairs Mock Exams of ClearIAS Prelims Test Series. As per our research of previous year questions, it is clear that UPSC is not looking for aspirants who mug up last year current affairs notes of coaching institutes and attempt prelims. That’s the reason why in ClearIAS Prelims Test Series, we always include the most important current affairs topics with a greater span of 3-4 years. 3. UPSC asks factual information as well! Somehow aspirants think that UPSC will ask only analytical questions. But this is totally wrong. UPSC Civil Service Exam is a mix of analytical, conceptual, factual, and application level questions. Subject experts of UPSC Question Panel sometimes go deep and come up with facts-mugging questions as well. Ideally, questions should test an aspirant’s level of understanding of a subject. His conceptual knowledge should be checked, not factual knowledge. But the questions which check the factual knowledge of aspirants has increased in the last few years. Some factual questions are easy, but a few require great depth of mundane study. For example, consider this question in UPSC Prelims 2018 on GST. We are not sure if even experienced Chartered Accountants or Indian Revenue Service Offers can tell the different rates of all goods (which government changes often) without referring books, manuals or websites. There are about 1800+ items under the purview of GST. Is UPSC expecting aspirants to remember the tax rates and finer specifications of all such items? This is not the first time UPSC sets these sort of questions. Remember the question about Banana from Andaman Nicobar in UPSC Prelims 2016. Personally, we are against setting these types of questions in an exam of the standard like UPSC CSE Prelims. We find no rationale in checking the factual memory of aspirants at this depth. However, considering the last few years trends, you should expect 4-5 questions like these in the future preliminary exams as well. Questions like these will only encourage coaching institutes and mushrooming online coaching websites to dump a lot of unwanted information into the brains of young aspirants. Coaching institutes will get benefited if UPSC continues with this pattern, as they will create an impression that the IAS/IPS exam is a mammoth task which requires a huge database of study materials. They will literally sell everything under the Sun, which nobody can finish even in 5 or 10 years – a clear sign of lack of focus. Millions of such questions are possible if you prepare in that direction. But that will not be a good return on investment, as the number of in-depth factual questions in UPSC prelims is not proportional to the volume of materials you need to study. If you take mock exams, read newspapers, and use Intelligent Elimination Techniques™, without any additional effort, you should be able to answer most of the factual questions. Didn’t you notice many candidates who scored 130+ marks in previous UPSC Preliminary exams are now down to 90s and 80s this year? This has shattered their confidence as well. Apart from the question difficulty, another prominent reason why the marks came for many high-scorers is that they took UPSC CSE Prelims too lightly. Many times, veteran candidates think that they have clearly understood the UPSC patterns and go with some pre-conceived notions in mind. But in reality, the UPSC exams are highly unpredictable. Yes, the prelims was tough this time. But if you had under-estimated the competition or UPSC patterns, exams like that of 2018 can make you work harder in the next year. This line is for beginners – don’t be scared or disappointed after UPSC Prelims 2018. UPSC Prelims is not like this always. The priority areas of question papers vary every year. So is the share of factual questions, conceptual questions, and analytical questions. Also, sometimes questions will be from the core areas, sometimes it will be from the periphery. In some years questions may span over a wide range of topics. In some years, the range of questions might be narrow, but questions might be deep (as in 2018). Never go for UPSC exams with any prejudice. For keen observers, every UPSC exam offers a lot of scope for learning. Exams may be easy or tough, but in a competitive exam, your aim should be to get the extra-edge and clear the cut-off score comfortably. Give deserving weigtage to all subjects mentioned in the UPSC syllabus. Make sure you get the right guidance. Avoid coaching institutes or websites which overload you with a lot of information. Remember that you don’t need to know everything to clear prelims, mains, or even interview. Be focused. Go deep only on areas where it matters. 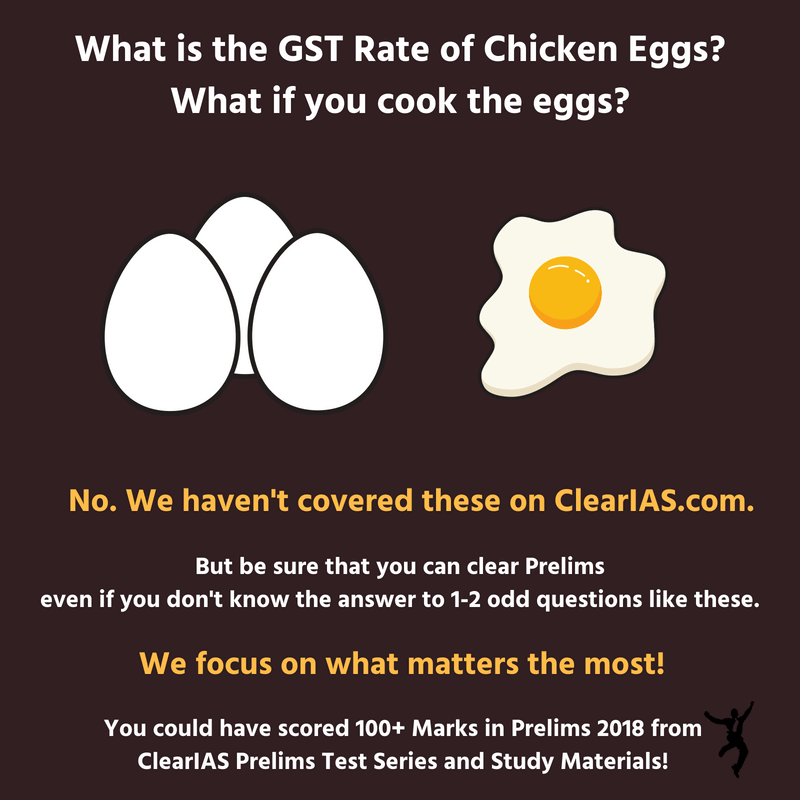 Finally, join a quality test series like the ClearIAS Prelims Test Series. It will help you (a) to be thorough with the fundamentals (b) cover advanced topics quickly (c) learn the important current affairs topics of last 3-4 years faster (d) stick to a timetable and be focused (e) equip you to face the challenges of diverse UPSC question patterns. All the best! Do clearias has any such test series for mains also? We will be announcing our Mains program soon. We suggest following a good time-table. 8 hours of study per day – if it is focused – should be more than enough. What would be the safe score this year? Thus is my first attempt. Kindly help. Sir,I have given 10th ssc exam & want to give UPSC exam.But I want to ask you that can I do graduation in medical science or not? bcz I have heard that optional sub can be removed ,is it true?if yes then what should I do? can you publish a detail time table for 2019 ? plz give a timetable which will cover the old current topics also. 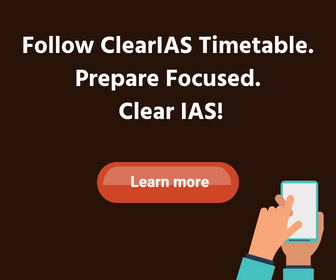 Hi Sudhansu, we will be releasing a detailed timetable for ClearIAS Prelims Mock Test Series 2019 soon. We hope that will help all aspirants to finish topics based on a schedule and remain focused. I am a 2nd year BTech student.How should I start my preparation for UPSC exams? I want to start preparing but I don’t know how to. Hello Gopika, you should begin with the NCERTs 1st then move to the other reference books. I am civil service aspirant. I would like to appear for CS 2019 and next year is my first attempt. i work abroad in a private firm where my work timing is 7am – 6pm . I am confused of where to start and how to clear the exam.. since i am abroad , i have many restriction for books, notes ,etc. can you please guide me on how to start , which subject i can start with ? i haven’t decided yet about my optional too. i saw your prelims test series but in a week i don’t know if i can finish reading or learning the subjects. please guide me sir. i really look forward for a postive reply. i think according to the age limit , next year is my last attempt. i have 10months only infront of me…so totally confused…please guide me on how i can study as a working professional ..could you please help me frame a timetable to finish the syllabus. When you’re going to start prelims test series for 2020? 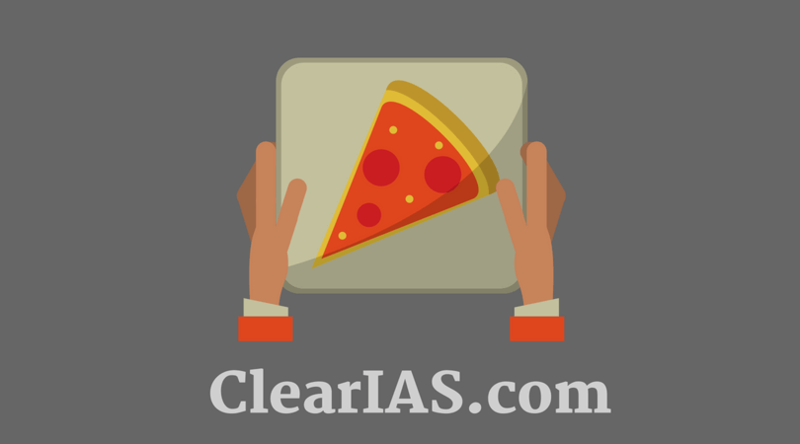 @ Kumar – Thank you for your interest in ClearIAS Prelims Test Series. We will launch 2020 test series soon after Prelims 2019. Sir,can u plz put science and topic list important for this year’s exam. As it is very difficult to predict this section. Hii. 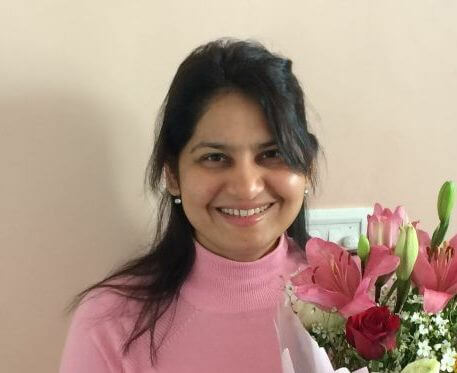 Being an IAS aspirant, I wanted to ask how should I start answer writing ? I have read all the standard books once . Should I read the question and then prepare for that particular question then write it or what should be the criteria ?